Gazchamp–Ex is the till date most preferred Multi Gas Detector with Individual Display type Gas Monitor. Gazchamp-Ex has established itself in the market with most useful features and ease of maintenance clubbed together. 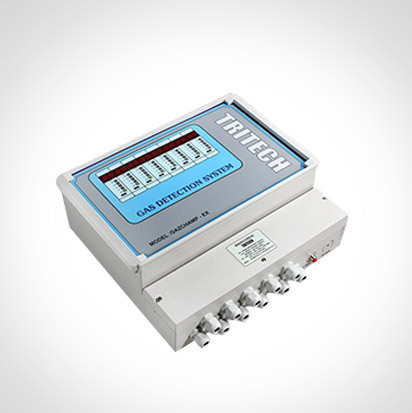 Each channel has separate input card maintaining single loop integrity most desired in reliable Gas Detection system. 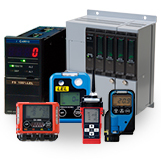 Gazchamp-Ex can be connected with various Tritech make direct Detectors or to any / mix of various Gas transmitters . Individual relay contacts, 4-20 mA output and expandable nature are the key other features of Gazchamp-Ex. It’s available in 8 / 16 channel configuration. Special versions are available with Battery backups in case of power failures. Gazchamp-Ex is most ideally suitable for plants which require Multi Channel Gas Detection system for various Gases or for single Gas application but with compact Monitor.